My morning starts with a cup of coffee. Morning coffee means it’s time for me to perk up and get ready for the day. Then I switch to tea throughout the day to stay replenished. Coffee and tea are the two things I cannot live without. 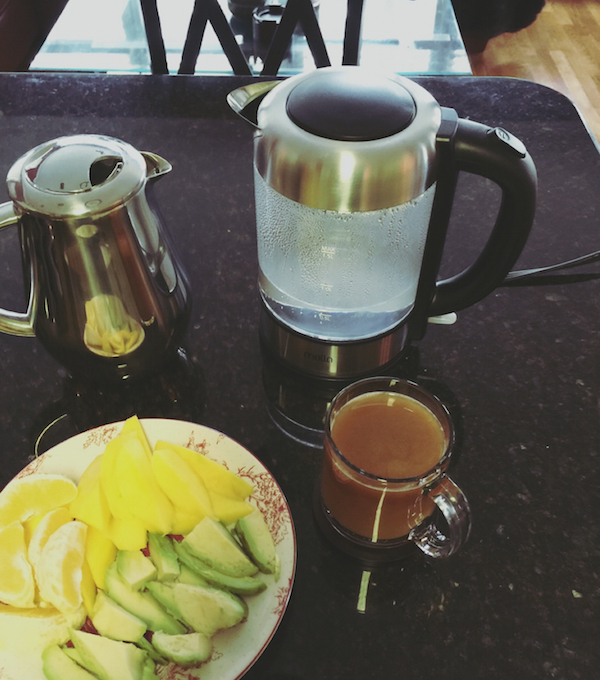 My hubby & I have been enjoying a new coffee maker and water kettle that makes some great-tasting cups of coffee & tea at home. We checked out many options until deciding on these two fantastic items. This stainless steel french coffee press also doubles up as a tea brewer. The coffee tastes smoother when compared to using regular coffee machines. I also wanted to get a convenient electric kettle to heat the water. No more microwave! The water starts to boil up within 5 minutes (I turn the switch off at this point) and goes to a full boil under 7 minute mark. I just love the way the two look when paired and also the performance when used together.